Above: the empty (and almost sterile) “newsroom” of The Dallas Morning News, around 1903. There’s either a big fire somewhere, or news has taken the day off. 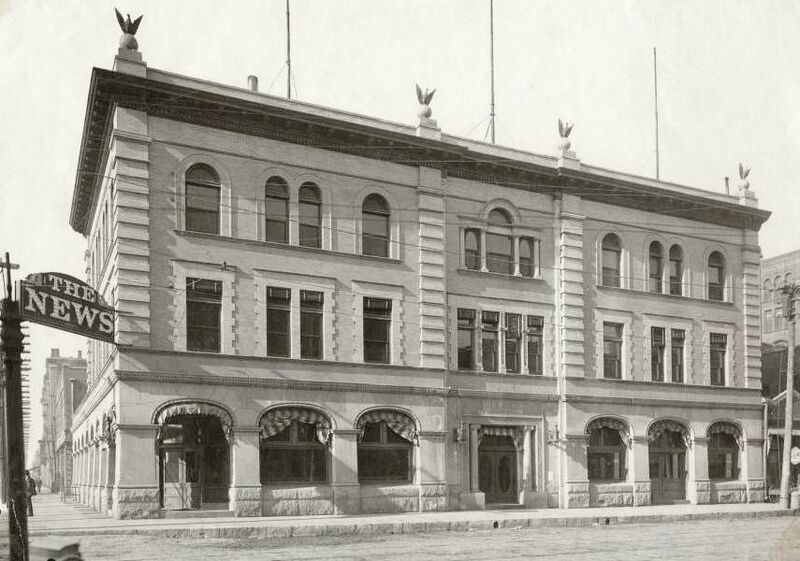 Below: the new Morning News building, about 1900. Located at the northwest corner of Commerce and Lamar, this is the Lamar side. And the somewhat show-bizzy sign, studded with bulbs — one hopes it flashed at night. 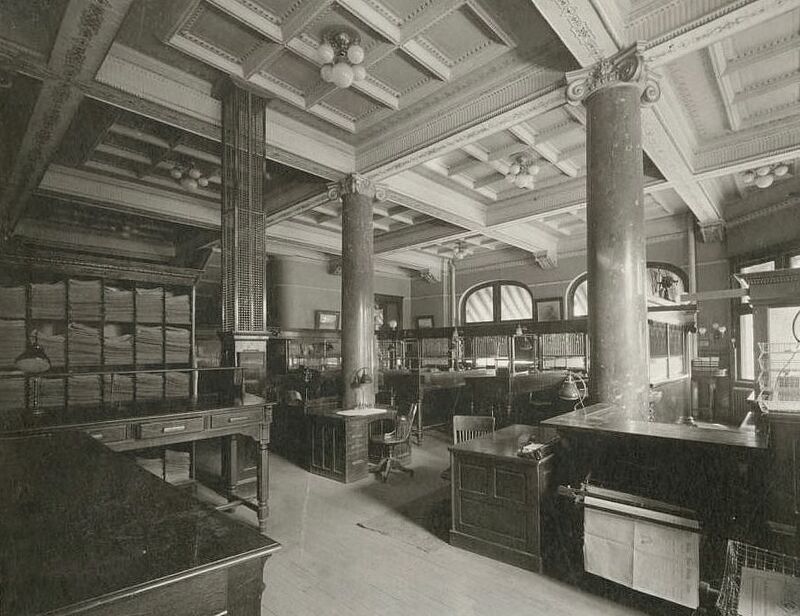 Photo of the Dallas Morning News newsroom, circa 1903-1905, from the Belo Records collection, DeGolyer Library, Central University Libraries, Southern Methodist University; more info here. 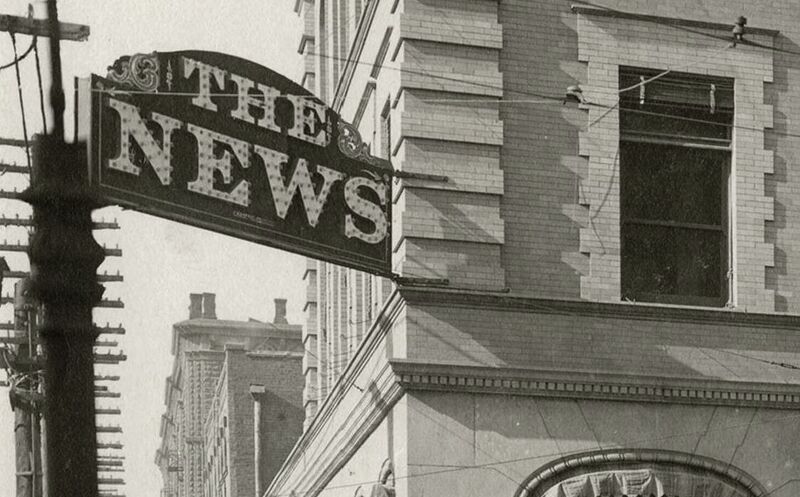 Photo of the Dallas Morning News building (slightly cropped), circa 1900-1901, from the Belo Records collection, DeGolyer Library, Central University Libraries, Southern Methodist University. Original photo, along with additional information, can be found here.